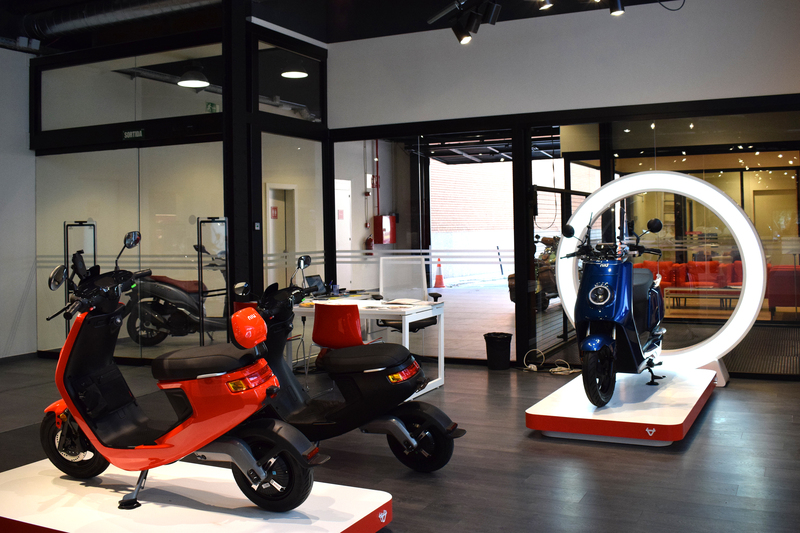 NIU, the worldwide #1 smart e-scooter, has just launched its first flagship store in Spain on Calle Balmes 186 de Barcelona, on 12th July 2018. NIU is an innovative and fast growing e-scooter brand from Shanghai, that is responding to the worldwide growth of e-mobility. 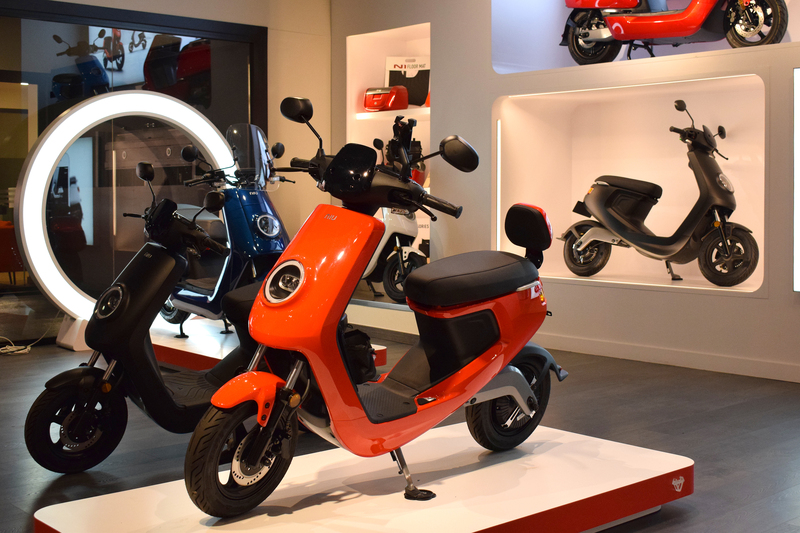 The decision to open its second European flagship store in Barcelona is due to NIU’s conviction that Spain will play a key role in the international future of e-scooters. With an exposition space of more than 65m2, moto fans and users will be able to come and learn first hand about the brand’s products, as well as its sustainable, revolutionary, urban mobility concept. NIU wants to use its stores to enable direct contact with customers, which will create a whole new experience for purchasing an electric scooter. With the objective of building a closer relationship with the public on its urban transformation project, the new Flagship Store incorporates a team of professional experts to advise on different options and benefits of each of their smart scooters. Furthermore, repairs and maintenance are available in one of the best malls in Spain, incorporating a team of technicians specialized in electric vehicles and diagnostics. NIU lovers will have various versions of the latest models available for test drive, and in short, the new M+ and N-GT models, adapted to the European rider and presented in June at the Paris mobility expo. The NIU flagship is located inside Bordoy Group’s concept store, 186 Balmes Street, Barcelona; a 1600m2 space harboring the distinct and iconic brands the group represents: SYM, MV Agusa, INIDIAN and NIU, as well as its own Brand, Macbor. It’s a unique place for all lovers of motorcycles divided into two spaces: the first 800m2 space in exhibitor format dedicated to each of brands and the second space with 8 individual stands to offer a truly personalized service. Finally, with the aim of improving service and speeding up distribution of replacements, the Bordoy concept store has incorporated a logistical exchange center for all the official service network and workshops to collaborate with Bordoy within the ‘influence zone’ of the dealership. More than 300 attended the launch, including stand out faces of the motor world such as ex Pilot and journalist Jaime Algersuari and Cesar Rojo, general director for KTM Spain. The new Concept Store of the Bordoy Group was inaugurated last Thursday, July 4, accommodating more than 300 guests, among which stood out such recognized faces in the motor world as the former pilot and journalist Jaime Algersuari, the pilots champions of the Enduro World Josep García and Xevi Puigdemont or the Dakar driver Gerard Farrés. In addition, to have César Rojo, General Director of KTM Spain or Chema Riaño, Secretary General of ANESDOR.